A 20-year U.S. Army veteran, including combat tours in Operation Desert Shield/Desert Storm (1990/91) and Operation Iraqi Freedom II (2004/05), Joseph understands what it means to serve. 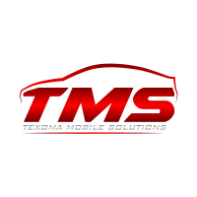 With a penchant for professionalism and attention to detail, he'll meet you at your office, home, or any other location convenient for you to help you get the solution you need so you can get back to what matters. Whether you need a document notarized, an I-9 Employment Eligibility Verification completed, or even a minister to conduct a wedding, it's his honor and privilege to serve you. Call or email him today! 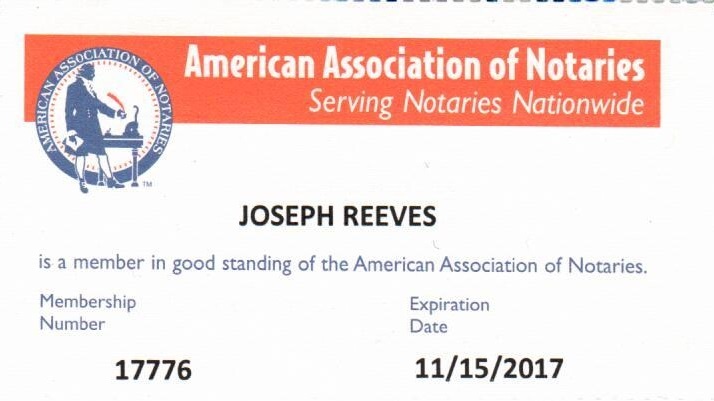 Joseph is a member in good standing of both the ﻿National Notary Association﻿ and the American Association of Notaries, and receives ongoing training as well as industry, policy, and law updates affecting notaries. He undergoes an extensive background check every year and is certified as a notary signing agent by the National Notary Association. 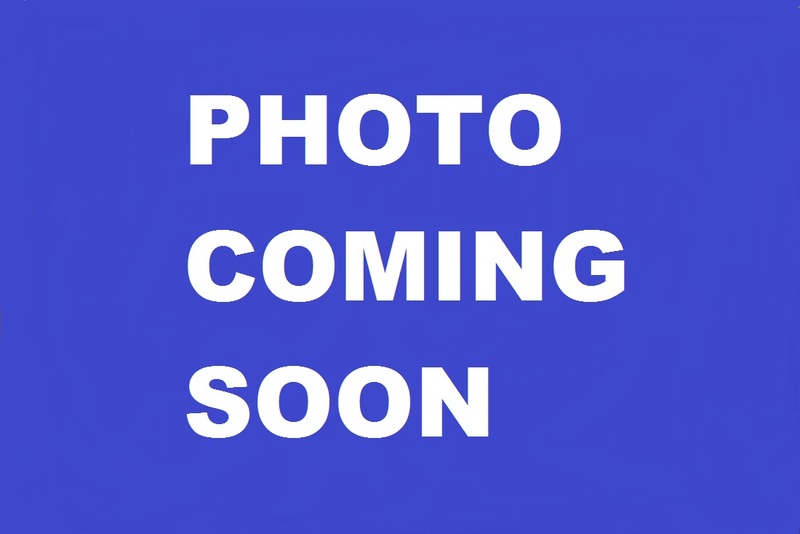 He is bonded and insured, and his notary commission may be inspected here and here. 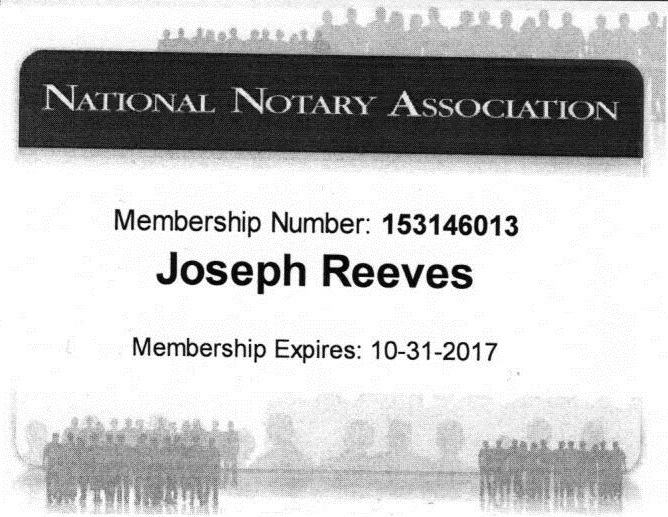 Joseph has been a notary public since 2007. 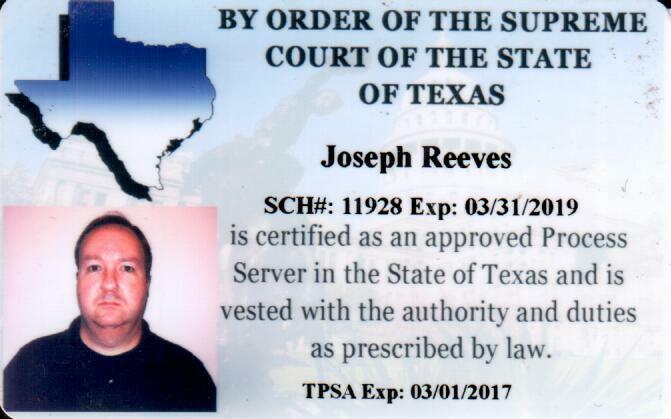 Joseph is an approved Texas process server certified by the Texas Judicial Branch Certification Commission, SCH11928. 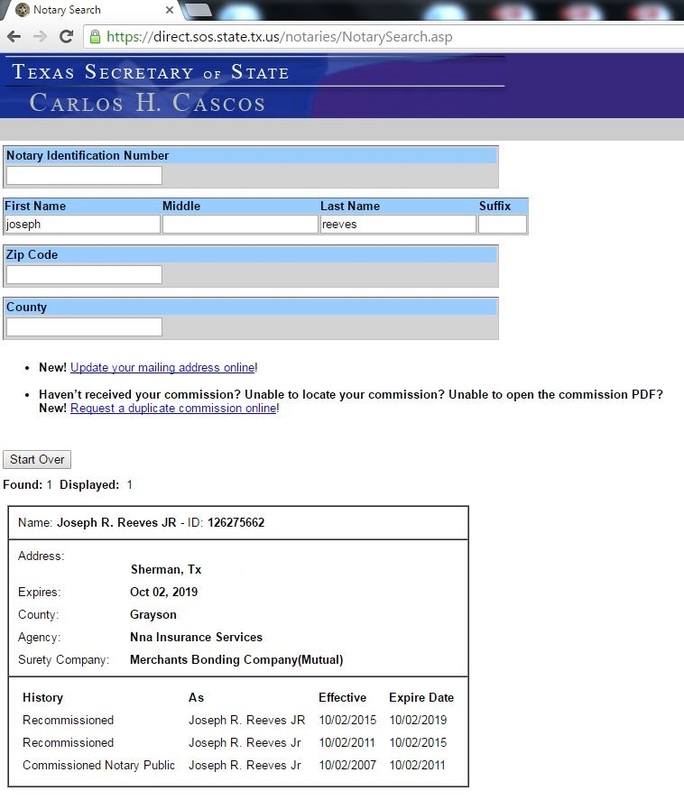 He is also a member in good standing of the ﻿Texas Process Servers Association﻿, and receives ongoing training as well as industry and law updates pertinent to Texas process servers. 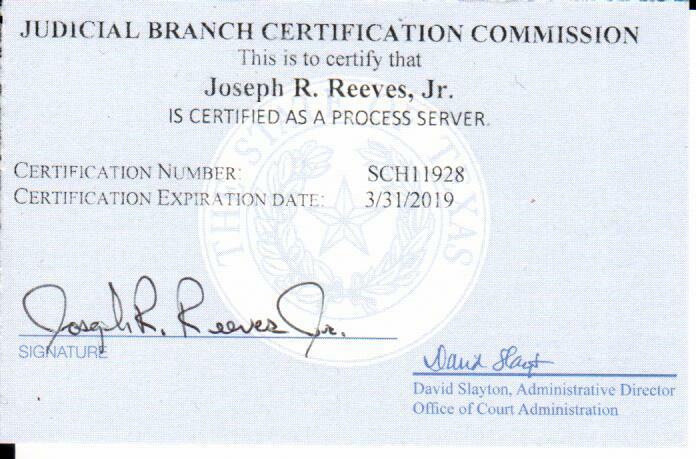 Joseph has been a process server since 2016. 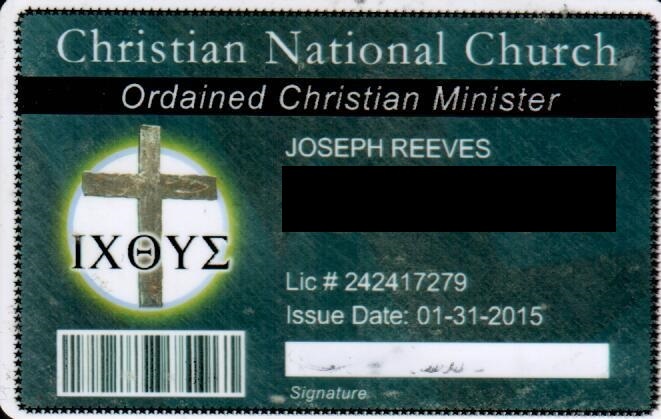 Joseph is an ordained Christian minister, having been ordained by the Christian National Church. 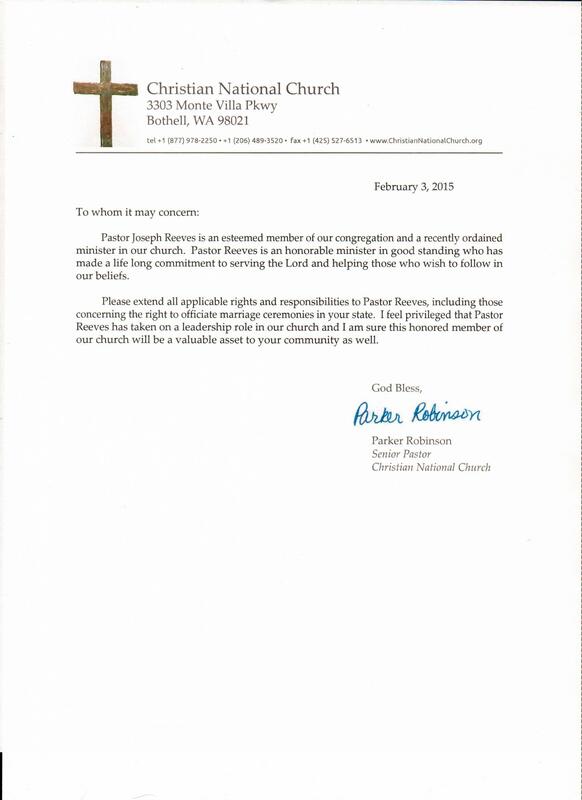 A letter of his good standing status with the Christian National Church is provided here. As such, he is authorized to solemnize marriage ceremonies. 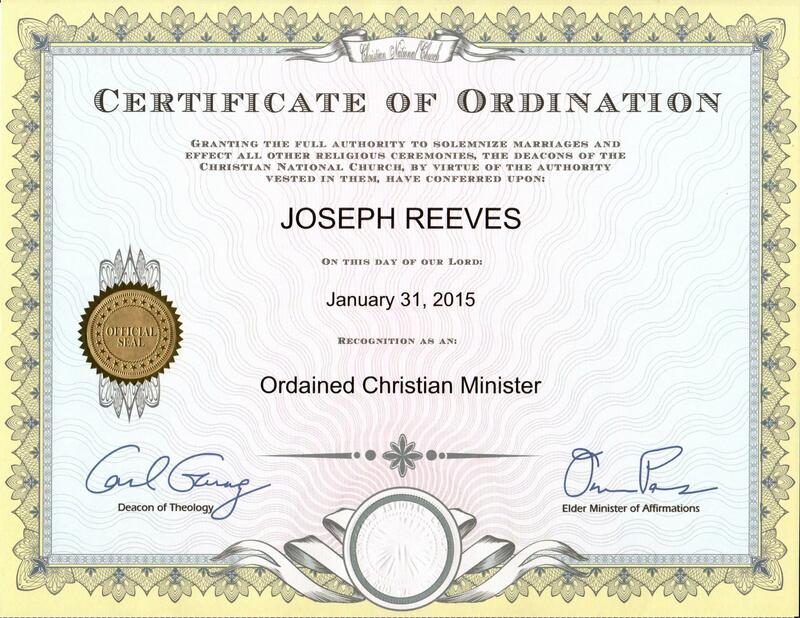 Joseph has been an ordained Christian minister since 2015, and a Christian for over 40 years.